What do you get when you cross a colorful Italian knitwear designer with the very fashion forward Scots? Crazy Missoni print kilts at the luxury five star Hotel Missoni on the Royal Mile in Edinburgh. I was so excited for cocktails at this super chic lobby bar that I completely forgot Missoni's famous zig zag patterns totally trigger my migraines. So I will tell you that there wasn't much lounging, just a quick guzzle and then we had to leave, but if you're a fan of Missoni you won't want to miss cocktail hour at this glittery and energetic bar. Hotel Missoni holds court at the prime crossroads of the Royal Mile and George IV Bridge, and the cocktails and people watching don't get any better in the center of the Old Town. 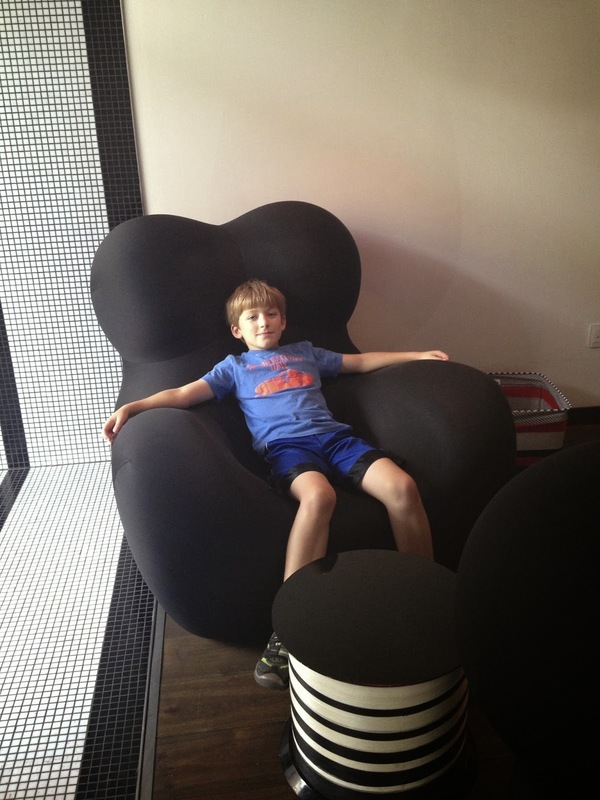 Both little C&Gs were very sad when I dragged them out of their super comfortable and over designed Italian chairs after just one drink (and no snacks). Hotel Missoni is the perfect destination after spending the day at the incredible (and free) National Museum of Scotland. Just a five minute walk from each other down the George IV Bridge, you'll get in quite a bit of sightseeing on your way between the two. Stop and rub the nose of the infamous Greyfriars Bobby, the Skye Terrier known for guarding his owners grave in 19th century Edinburgh. 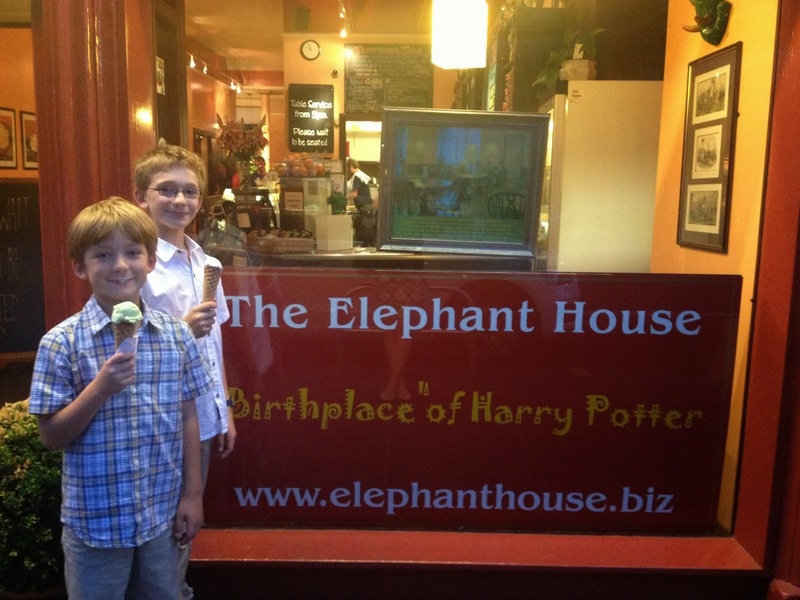 There's a small storefront selling gelato next to a little cafe called The Elephant House. You may not recognize the name right away but chances are your avid readers will. It's the "birthplace" of Harry Potter and the coffee house where single mom J.K. Rowling would sit and write all those years ago. For amazing burgers, milkshakes, and cocktails (without the brain scrambling Missoni prints) make Bar Kohl your destination for lunch, drinks, or dinner. The cocktail menu is longer than the food menu (my kind of place) but the cozy bar serves up delicious in-house made Aberdeen Angus burgers and there's a special menu for the kiddos. Big C&G loved his kid sized burger and ordered his chocolate milkshake with extra oreos. You'll want to keep track of all these food and cocktail options near the National Museum of Scotland because the museum is huge, it's free, and after an hour or two you're going to need a some fresh air. It's easy to get overwhelmed so be sure to stop by the information desk (in the lobby) to pick up a map for highlights of the collections. Up on the seventh floor is an outdoor terrace with an incredible view across Edinburgh and it's a great place to take a quick break. As you enter the building, the right side covers five floors showcasing the history of Scotland, early people, land, kingdoms, the rise of industry, and life in the 20th and 21st centuries. Swords, shields, bloodied flags, and precious jewels are all on display and illustrate the complicated history of Scotland. We all thought this was the more interesting part of the museum and there are plenty of hands on activities for the kiddos to try. The one and only Dolly. Yes, that Dolly. The cloned sheep. On the left when you walk in is the soaring grand gallery and three floors of displays showing objects from world cultures, the animal kingdom, and science and technology. 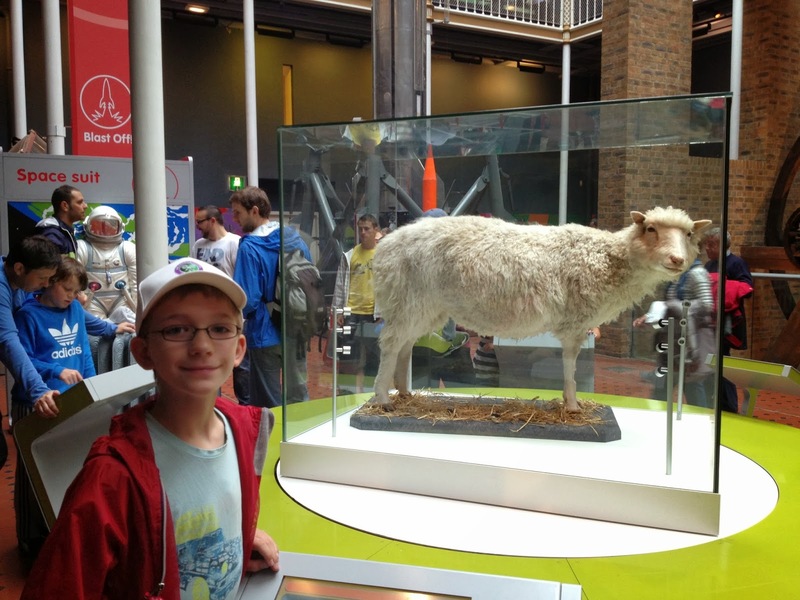 This is where you'll find the infamous cloned sheep, Dolly. Neither of the little C&Gs could understand what made this particular sheep so interesting and deserving of a custom taxidermy job. I'm sure my fuzzy memory of the big 1996 event didn't help either. 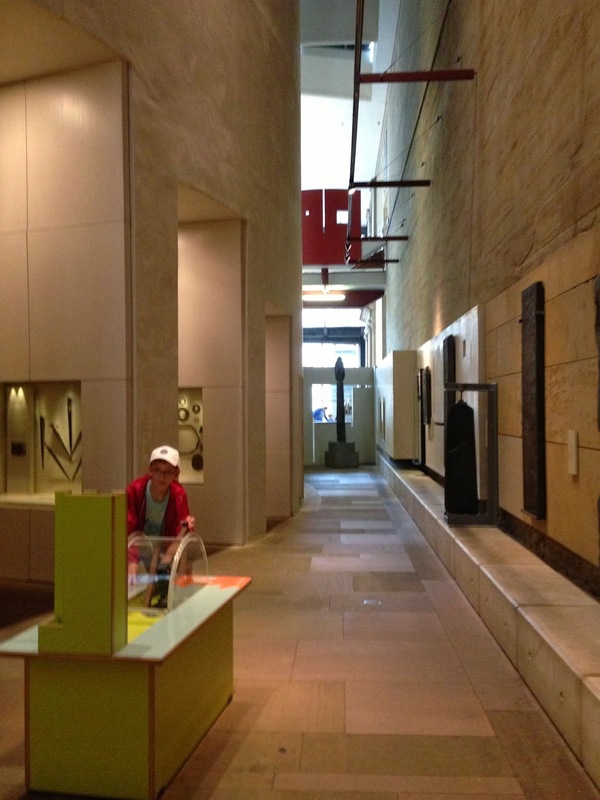 The National Museum of Scotland is open daily from 10:00 am to 5:00 (17:00) pm. Admission is always free and their website has some great resources for visiting with children. If your kiddos have their own iPhones, iPods, or iPads (or you don't mind them borrowing yours) you can download the Museum Explorer app for a special scavenger hunt. They have to find nine mystery objects around the museum and it's a great way to keep them entertained and engaged until you're ready to head out for cocktails. Thanks for the great info! Bookmarking it now.